It’s unusual for Maine to experience a true heat wave, three or more consecutive days of 90 degree weather, but for many, the three days during the middle of this week (Tuesday, March 20 thru Thursday, March 22) might just qualify. March in Maine is often the muddy month. The area slowly comes back to life after a long winter nap, but this year that nap was often interrupted by sunny warm days. There was only one snowy day during the month and very little rain, so when the first official day of spring rolled around, residents were looking for their shorts and t-shirts as they collectively opened their windows and looked for ways to spend time outdoors. The tennis courts on May Street in Biddeford were full of players, walkers and runners made their way up and down the streets of Saco and Old Orchard Beach saw crowds of residents head toward the shore. It wasn’t exactly what you’d expect on an afternoon in March. 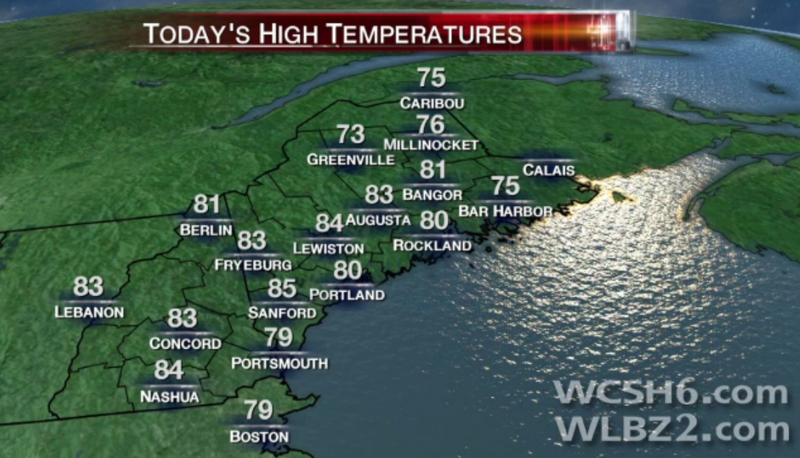 According to WCSH , the temperature in Portland only reached 63 degrees on Tuesday, but Sanford, Lewiston, and Augusta all saw temperatures soar into the 80s. Most forecasters are expecting more of the same for Wednesday, the first official day of spring. Mainers are taking this in stride, but it does seem a little bit unsettling, and the question on everyone’s mind now seems to be: what will it be like this summer? ← Who doesn’t love their ‘mudder’?